Large 4-Bedroom with Wi-Fi, On Shuttle Route, Lots of Extras, Indoor Pool! This is a very beautiful and spacious condominium with wonderful decor! 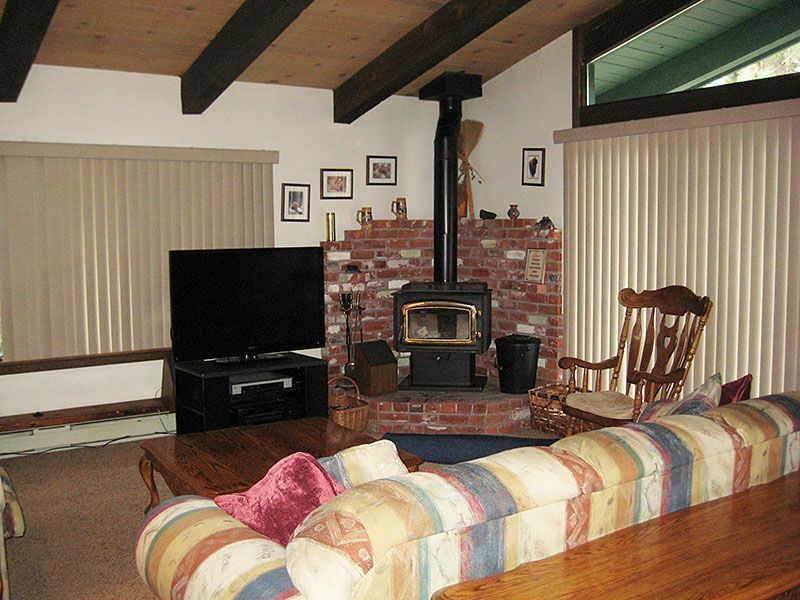 This rental is a nonsmoking, 4-bedroom unit with 3 bathrooms and a 4 star rating. It has a full kitchen with new appliances, a hot water on demand kitchen faucet, microwave, fireview woodburner, 2 TVs (46-inch flat screen TV in the living room and 19-inch flat screen in the downstairs bedroom), high-definition cable, Blu-ray/DVD player, washer/dryer, an iron with ironing board, 3 hairdryers, stereo with a CD player and a phone with unlimited long distance service. This condominium also provides free wireless, high-speed internet access and has a partial view of the Sherwin Mountains. The 1st bedroom has a king size bed, the 2nd bedroom has 2 sets of bunkbeds (4 beds total with new mattresses in 2013) with a TV and DVD player, the 3rd bedroom has a queen size bed (new mattress 2012) and the 4th bedroom has 2 single beds. There are 2 stairs to reach this unit and it has 2 levels inside. The entry level has 3 bedrooms and 2 bathrooms. Upstairs are the living room, kitchen, dining room and the master bedroom with a bathroom. This unit sleeps up to 10 people. Unit managed under Mammoth Lakes Business Tax Certificate 864.